Repotting taking too much time? Can't add plants because you travel? Your orchids never bloom again? Our Water Gauge tells you when to water (or when not to water!). 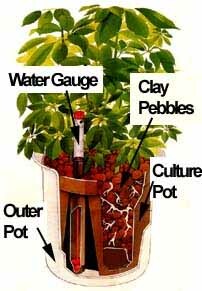 A Decoratve outer pot holds the water and the LECA pebbles pull up nutrient solution to the plant safely and evenly. 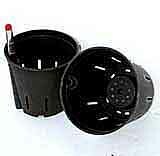 At the same time the openings in the culture pot promote maximum air circulation at the roots. No worry about salt buildup either. 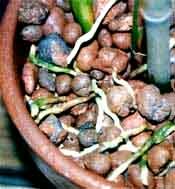 Just flush the roots at the sink every couple of months and all the bad stuff washes away! 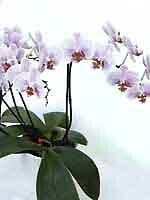 With our system your orchids will practaclly take care of themselves. Imagine your orchids in a single media that's clean, easy to use, and won't breakdown.